This unique, beautiful wedding invitation has your wedding guests literally helping you tie the knot. 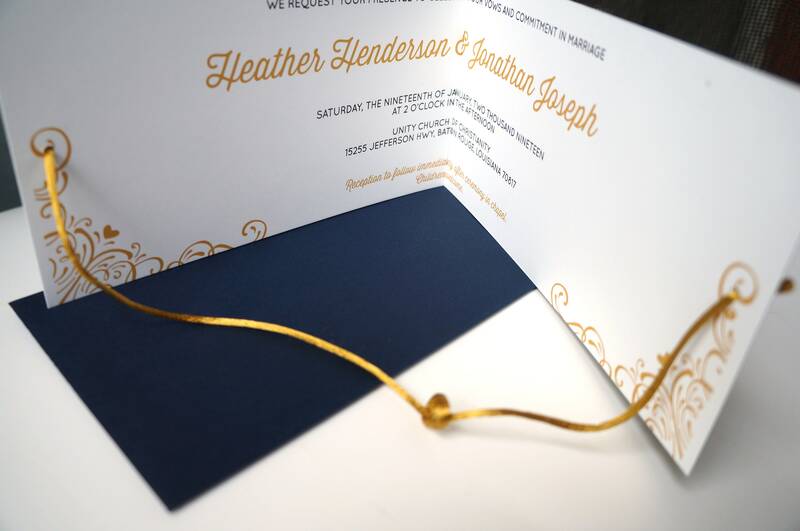 The invitation is mailed with a loosely tied cord on the inside. As the invitation is opened, the cord pulls tight to tie a knot. This invitation is modern, simple, elegant and so much fun. These invitations are fully customizable. You will get to choose the satin cord color, print color, envelope color and any wording changes you may wish to make. You may place your order directly from this Etsy listing. If you would like to order a sample, please contact seller. All invitations are shipped USPS 1-3 day Priority.